MILWAUKEE, Dec. 7, 2017 /PRNewswire/ -- William M. Farrow III, organizer, chief executive officer, president and director of Urban Partnership Bank in Chicago, has been appointed to the board of directors of WEC Energy Group (NYSE: WEC), effective Jan. 1, 2018. Paul W. Jones will retire from the board effective Dec. 31. Jones, 67, served as a director of Integrys Energy Group and joined the WEC Energy Group board of directors when the company acquired Integrys in 2015. "Paul's insight and experience were invaluable in helping us to meet and exceed our goals for cost savings and integration post the acquisition," said Gale E. Klappa, chairman and chief executive officer of WEC Energy Group. "I'd like to thank Paul for his service, and we wish him and his family good health and happiness in the years ahead." Farrow, 62, received his bachelor's degree from Augustana College and a master of management degree from the Kellogg School of Northwestern University. Prior to being one of five organizers of Urban Partnership Bank in 2010, Farrow was an advisor or contract CEO to companies where the focus was information technology or finance. From 2001 to 2007 Farrow served as executive vice president and chief information officer of the Chicago Board of Trade. 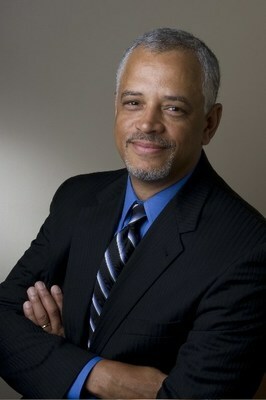 Farrow was senior vice president at Bank One Corp. from 1996 to 2001. He currently serves as a member of the board of directors of the Federal Reserve Bank of Chicago, Cboe Global Markets Inc., Echo Global Logistics, CoBank ACB and NorthShore University Health Systems. "Bill joins a strong board – a board with a diversity of experience and background. He brings a unique blend of information technology and financial expertise along with the critical thinking skills that will help our company achieve its long-term objectives," Klappa said. WEC Energy Group (NYSE: WEC), based in Milwaukee, is one of the nation's premier energy companies, serving 4.4 million customers in Wisconsin , Illinois, Michigan and Minnesota. The company's principal utilities are We Energies, Wisconsin Public Service, Peoples Gas, North Shore Gas, Michigan Gas Utilities, Minnesota Energy Resources and Upper Michigan Energy Resources. The company's other major subsidiary, We Power, designs, builds and owns electric generating plants. WEC Energy Group (wecenergygroup.com), a component of the S&P 500, has approximately 55,000 stockholders of record, 8,500 employees and more than $30 billion of assets.